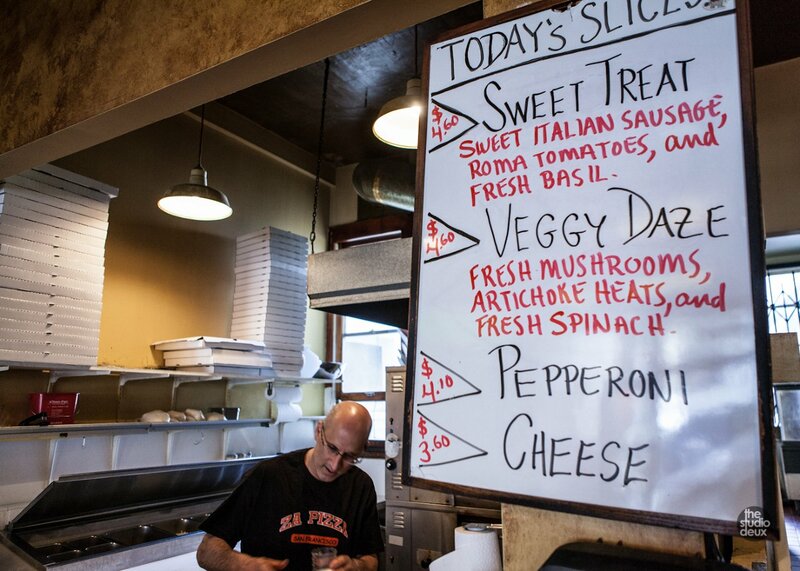 Stop In For Our Daily Slice Specials. No Custom Slices. No Fax Orders. 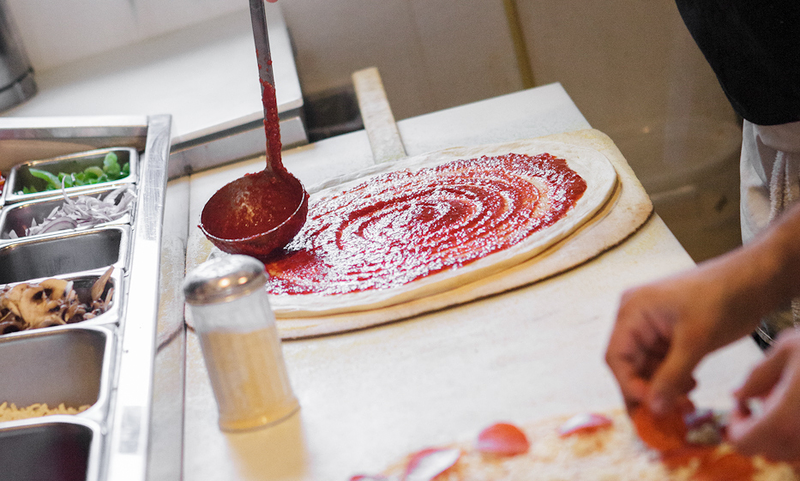 Call For Delivery: 415-771-3100. We have a few Reds, we have a few Whites. Zoom in and click and drag the map to see if we deliver to you. A little girl runs into Za Pizza and grabs the counter to lift herself up. Before long, the mother and an even smaller child straggle in and take a seat. It’s a lazy Sunday afternoon, but the place fills up with the neighborhood folks: singles just getting up from a night on the town, and young families that have found the thin-crust pizza a life blood. 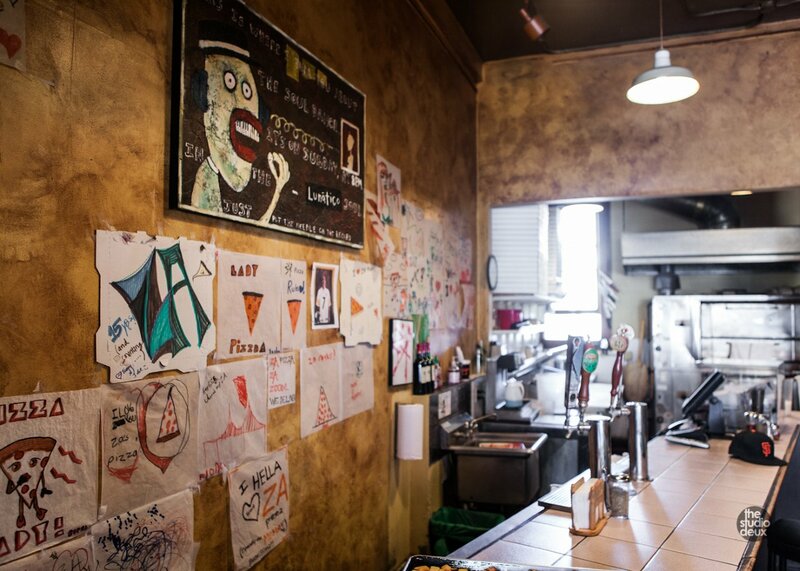 Being in Russian Hill, it’s also little wonder that the place uses art as an inspiration for names and on the walls. This popular stop opened by Bernstein and Buzzy Campisano 17 years ago is a very personal affair. The partners have watched the children grow to adults, and they even take off their aprons and deliver pizzas during the day. The place would be full even if the pizza wasn’t good, but the owners have perfected a crust that has that soft interior, a crisp veneer and a pleasant crunch from a thin layer of coarse ground cornmeal. Bauer, Michael. 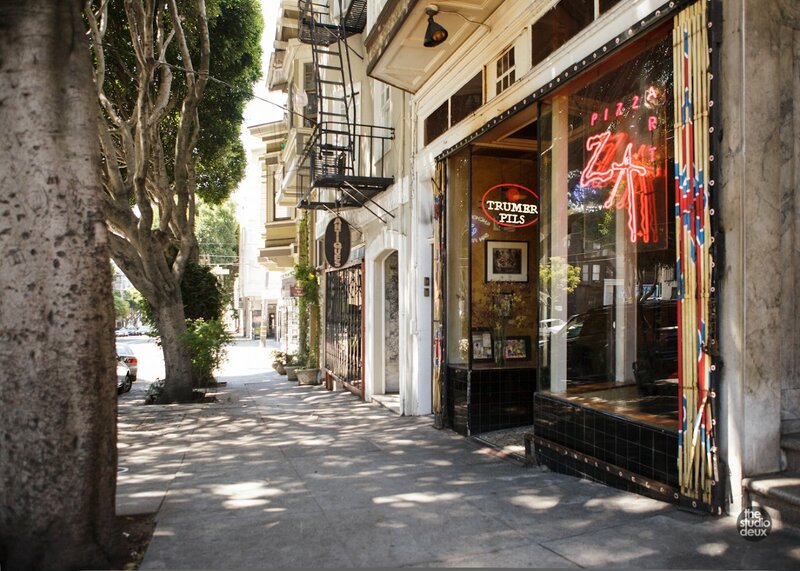 “Pizza Friday: Za Pizza.” Local Scoop SF. SFGate, 04 Apr. 2008. Web. 25 Feb. 2013. Powered by babaLucas. Photography by the studio deux.